Here is the offical press release from the team of the Venus Awards. FouldsCRM is officially a semi-finalist in the category Digital & Online Media. Finding the Female Factor at the Devon and Cornwall Venus Awards 2018 Semi-Finalists Announcement in association with Atkins Ferrie Wealth Management and in partnership with Alexis Bowater from Bowater Communications! 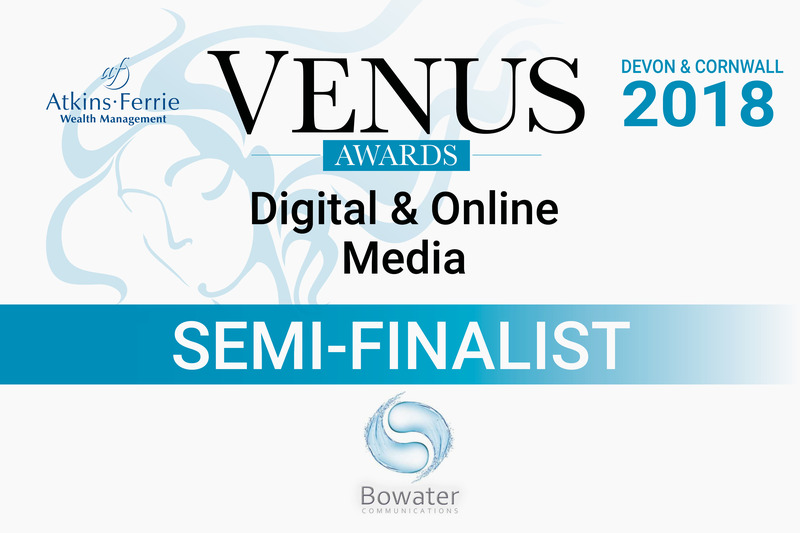 Regional partner Alexis Bowater from Bowater Communications was host to the Devon and Cornwall Venus Awards 2018 Semi-Finalist Announcement on 30th January 2018. Alexis Bowater, Regional Partner of the Devon and Cornwall Venus Awards 2018 was host to over 100 people at the Treasury in Plymouth, welcoming guests that included nominees and sponsors from all corners of the counties, and where the names of those progressing to the Semi-Finalist stage were announced. The successful Semi-Finalists will be invited to the Finalists Announcement on 1st March 2018. In its fifth consecutive year of the Venus Awards in Devon and with the new addition of Cornwall, the response remains consistently strong with over 1750 nominations and 500 applications. The Devon and Cornwall participants are competing in 15 categories including Inspirational Woman in STEMM, Small Business, Networker, Influential Woman, Company, Customer Service and the ever popular category of Business Mother.